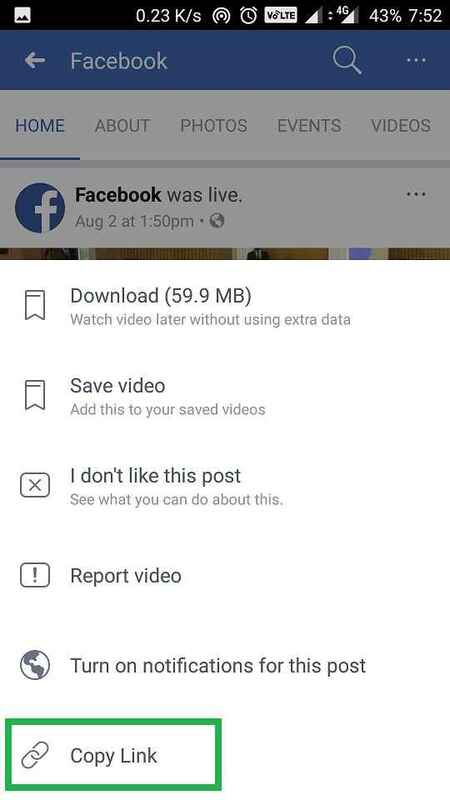 Get the video URL of the Facebook video you want to download. 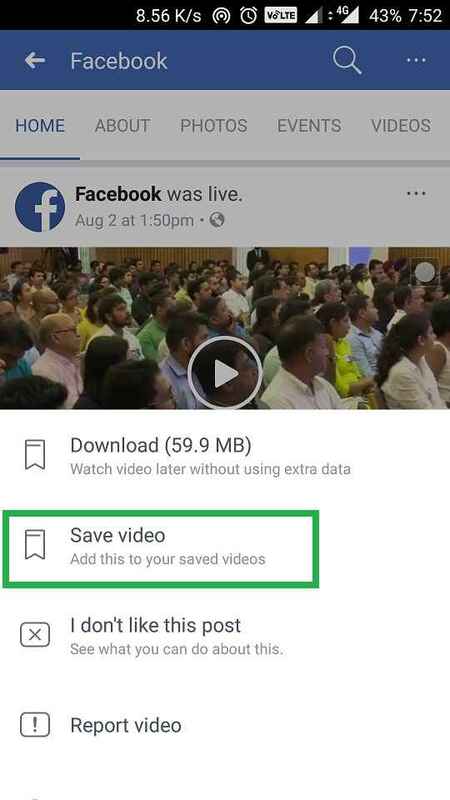 Now, this is the most simple way to download Facebook videos without using any tools at all. What to do if you are on Facebook for Android app? 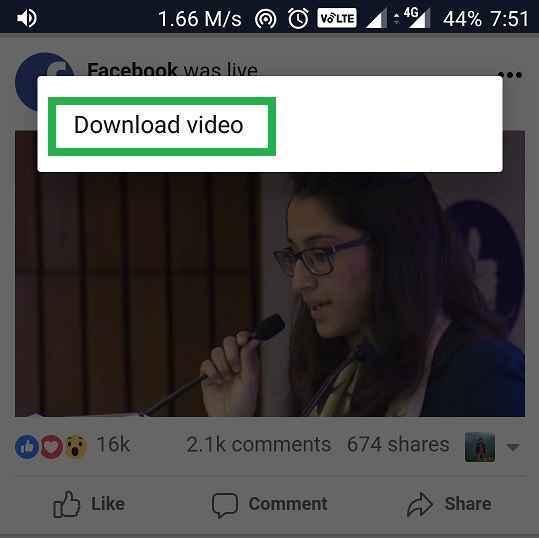 If you’re using the Android app for Facebook, then you have to obtain the video URL first. There are two ways you can do this. You do know that Facebook has a feature called ‘Save’ right? It lets you save the post so that you can later access it when you’re free. To get a video to Google Chrome, you can simply save the post you see on the news feed. After that, log in to your Facebook account from Google Chrome and go to the ‘Saved’ Section. There you can see the video and just open it and long press on the video to download it. You can get the link to any post using the Facebook app. So the process here is to copy the post link as shown in below screenshots and paste it into Chrome for Android. Then simply download the video by long pressing on the video. If you find this tutorial to be helpful or have any other queries, don’t hesitate to comment below so that we can help you further.